Dates: Saturday April 22; 1:30-5:00 p.m.
Sunday April 23; 12:00-3:30 p.m.
Investment: $111 for workshop or $100 for Tree Auto-renew members. Using specific tools from yoga, meditation, energy work, and nutrition, we will guide you through a journey of self discovery. Self love and happiness requires a life-long, committed practice. This workshop will include movement, stillness, journaling and lecture—leading participants through thoughts, actions, and feelings that serve our greatest good. 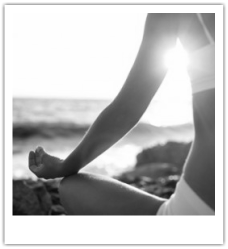 Yoga Tree of Boise - Guided Meditation every Thursday from 8:15 - 9:00 pm (excluding the 3rd Thursday of every month). Free to Yoga Tree members, and $13 drop in fee for non-members. Energy work is incorporated in these meditation.